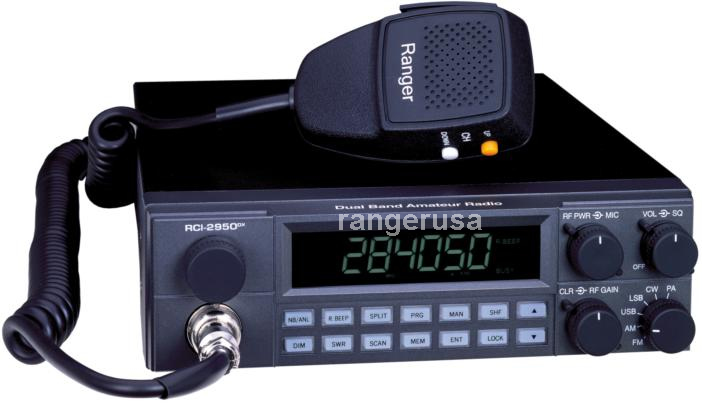 Excellent service, lowest price, repair, warranty, tuning and fast world wide shipping on the Ranger RCI2950CD 10 meter & 12 meter radio. The RCI-2950-CD is a newer version of the RCI2950Dx3. The main difference is the new blue LED display with 6 digit frequency counter, instead of 5 digits. The new RCI 2950 CD is now available. *The RCI-2950 CD / RCI-2970 N2 can operate with CTCSS frequencies for accessing repeaters, with an optional CTCSS (Continuous Tone Coded Squelch System) encoding device installed.